Bedtime shouldn't be a battle -- especially a battle about underwear. Alas, every night before bedtime, we have the same spirited conversation. "I'm big," says almost 4-year-old G. "I don't WANT to wear a diaper to bed." As I list all of the reasons why his cloth pull ups are not actually diapers, my oldest son eyes up the cloth diaper John is securing to his younger brother's rear. And my argument is null and void right there. Most parents who are helping preschoolers learn to master the potty have fought this fight, be it at night or during the day, so I know you hear me on this one. Reluctantly, G puts on his bulky, pocket-style pull up, often with tears, and climbs into bed unhappily almost nightly. A few weeks ago, The Willow Store, a lovely mama-made-and-run company in Wisconsin, asked if I'd be interested in reviewing a new cloth pullup. I couldn't say yes quickly enough. I've been on the hunt for a washable training pant pull up that isn't pocket-style and that doesn't look like a diaper or feel bulky for about two years now. And mostly all I've found is bulky, pocket-style pullups that get the job done but are exactly like the ones G so adamantly protests nightly. Catherine, the owner asked which color Sprout Change Training Pants G would like, and she sent him his first choice, which was a super way to start off the review. Because unlike with cloth diapers meant for babes who have no vocal opinion on said diapers, training pants must be approved not only by mom and dad, but also by very opinionated preschoolers. So, yes, the large array of color choices was a huge bonus, mostly because it gave G at least a bit of say in what he was going to wear. And whatever offers him a little relief from the frustration of having to wear training pants to sleep, helps me sleep better. The very day his special blue Sprout Change Training Pants arrived in the mail, he was eager to wear it that night instead of the other ones. Against my better judgement, he wore it to sleep, and he leaked through the side -- my own fault of course for not standing my ground and washing it the directed two more times before use. The next day, I washed the Sprout Change Training Pant two more times, and had it ready to go when he requested his blue "night underwear." That night, I also added a regular Spout Change Organic Cotton Insert to the pullup so as to ensure adequate absorbency for a preschooler. He happily pulled the Sprout Change on and went to sleep. And he happily woke in the morning without any leaks. Every night, G asks for his special Sprout Change underwear -- I honestly cannot wash the thing fast enough for his liking, so I foresee a few more Sprout Change Training Pants arriving at our doorstep during the next week. *Unlike cloth pocket pullups that are bulky when stuffed with adequate inserts to accommodate a heavy wetter or preschooler, Sprout Change Pullups are very trim. Even when I added the extra insert into the pull up, there was minimal extra padding, and G's pajamas fit normally instead of tightly and awkwardly across the seat of the pants. *Sprout Change Training Pants are adjustable in the thigh and in the waist, so it's actually possibly to get a really custom fit quickly and easily. 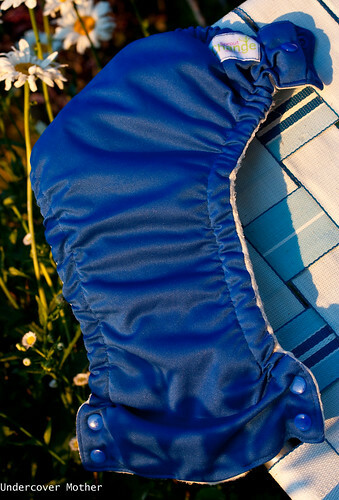 There's no cloth to fold over or snaps to adjust when trying to get the right size for your little one. Rather, the elastic is adjusted from the inside. Unsnap the button on the tabs of the pullup to access the elastic, and simply pull the elastic until it gently tightens around the thigh and the waist. When the desired tightness for both the thigh and the waist have been secured, slip the button through the elastic and tuck back into the side tabs of the training pant. 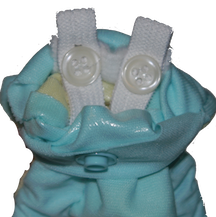 Because the elastic and button adjustments are stored inside the shell, little hands are not able to readjust or fiddle with the adjustments. *Sprout Change Training Pants function as daytime training pants in addition to night-time trainers, keeping accidents contained. Unlike many cloth pullups that are made of just cotton or fleece, which both wick and are easily soaked through, the Sprout Change Training Pant features organic cotton on the inside and water-proof PUL on the outside. *The Sprout Change Training Pants allows preschoolers independence, as they can pull it on with out assistance, but also has easy-open side buttons so a messy accident can be easily changed. *One of my biggest pet peeves about cloth diapers and pullups in general centers around quality elastic. The elastic in Spout Change Training Pants seem to be made of durable, quality elastic that likely will hold up in heavy rotation. However, we've only been using the Sprout Change Pullup for a few weeks, so I will be sure to update this review going forth if for some reason the durability drastically changes after more wear and tear. Overall, I consider Sprout Change Training Pants to be the nicest cloth training pants we've tried. And, as I've said, we've tried many with decent results from my perspective, but never with such positive reviews from both the wearer and parent alike. Would you like to win a $50 gift certificate to The Willow Store and buy a few Sprout Change Training Pants? Or maybe a few Sprout Change Diapers? 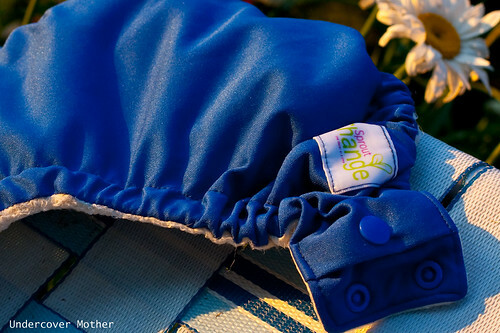 Or maybe some other organic, eco-friendly mama or baby necessities like mama pads or forever towels or laundry nuts? Simply leave a comment sharing what you would purchase from The Willow Store with your $50. Or tell me about why you'd like to try one of the aforementioned items. 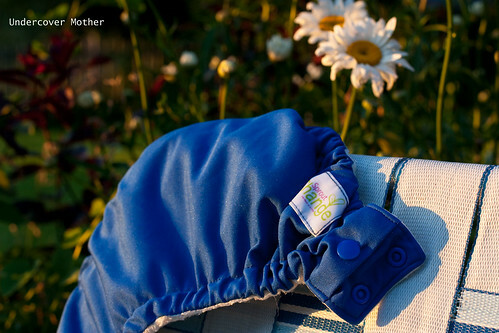 *Tweet: "I'm hoping to live green by winning a $50 #TheWillowStore GC for #clothdiapers or other #organic mama-must haves http://bit.ly/jO8PJH!" Cheers to healthy living, and good luck! !Entries close Wednesday, July 6 at 7 p.m.!